‘All The Queens Horses’ at The London New Year’s Day Parade. This coming New Year’s Day, ditch the sofa surfing for a fun day out in the capital and grab a horsey fix with some celebrity style with the ‘All The Queens Horses’ at The London New Year’s Day Parade. Amongst the jugglers, cheerleaders, acrobats, clowns and marching bands taking part in this annual parade on 1st January 2017, a team of 64 riders and horses will be taking to the streets of London dressed to thrill with their adaptions of famous film and TV shows under the heading ‘Lights, Camera, Action’. Each year the parade celebrates a particular theme. 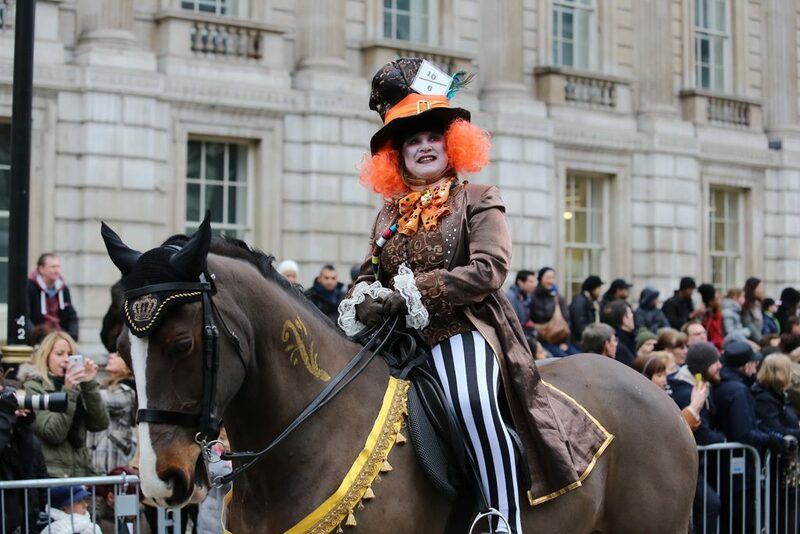 With previous year’s celebrating the ‘Swinging Sixties’ ‘London Moving’ and in 2016 ‘Magic & Fantasy’, the forthcoming parade is set to add plenty of star quality to the event which also includes side-saddle riders, horse and carriages and Iberian horses. Invited for selection from all over the UK and travelling from as far afield as Belgium to appear in this year’s event, the riders range from just six years old through to late seventies and are unpaid volunteers unified in their passion for horses and bringing equestrianism to the capital! 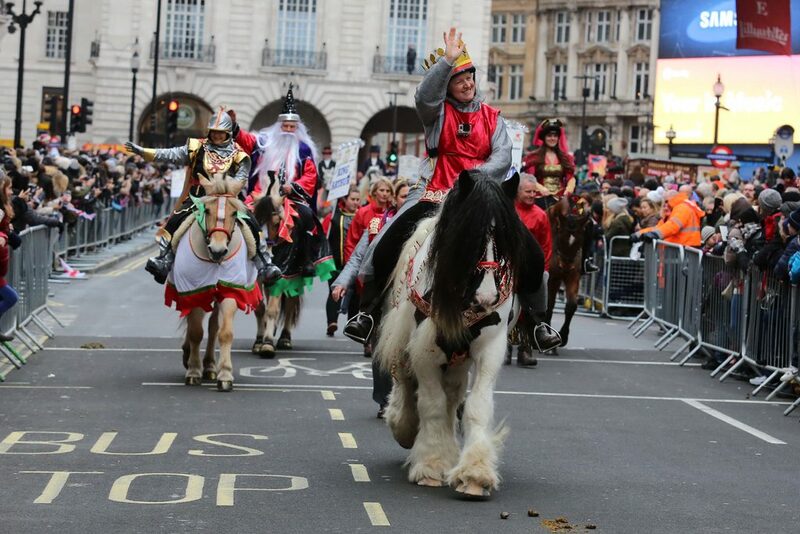 The equestrian element of the parade starts off 11.45am at Piccadilly Circus and finishes at Parliament, with the return route back via the Horse Guards, The Mall and Buckingham Palace. The event is free to watch, with plenty to see and keep everyone entertained. What better way to spend New Years Day!